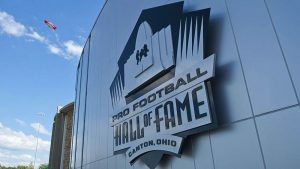 Sports Gamblers’ favorite time of the year is quickly approaching; Indianapolis Colts and Green Bay Packers will kick off the NFL 2016 pre-season in the Hall of Fame Game, this Sunday, August 7 at 8PM at Tom Benson Hall of Fame Stadium in Canton, Ohio. Brett Favre the Packers legend quarterback will be inducted to the Pro Football Hall of Fame, that same weekend along with Colt’s former head coach Tony Dungy and receiver Marvin Harrison, so the game between these teams just makes sense. For those gamblers interested in starting their NFL betting early on, the line is at pick’em and the money line has the Packers with a slight edge at -120 and 36 for the total over/under bets. Packers or Colts? Place your bets! Colts’ head coach Chuck Pagano has stated that all of his starters will play on the Hall of Fame game, funny as one may think they should be careful with exposing players such as Andrew Luck. The Packers in general have a better defense than the Colts, while offensively both teams have similar skills, yet, considering the Colts are bringing in their whole team this may play to their advantage. Still, I’m betting the Packers to win this one, I expect to see a sloppy game, but I am just thrilled the NFL season is back, watching these pre-season game also allows us to at least check on player performance and keep track of injuries, all leading to a great NFL season betting. The next pre-season game is scheduled for Thursday, August 11 when the Washington Redskins meet the Atlanta Falcons, Falcons are favorites to win this game with a line of -2 ½. While the regular season kicks off on Thursday, September 8 when defending Super Bowl champion Denver hosts Carolina (8:30pm ET, NBC). Choose AceSportsbook.com for your NFL pre-season and regular season bets. Best PPH Sportsbook offers the best odds and a wide variety of betting options, great customer service and incredible bonuses and promotions.